After studying Textiles as a GCSE student, I’ve had a passion for fashion; and as I grew older I became addicted to reading Vogue and Elle for style inspiration and the amazing photography of runway shows that I knew I’d never get to see in real life. Then, in my twenties, I moved onto makeup and beauty products (still with a jam-packed wardrobe!) and developed a keen eye for designer bargains (because there’s no money on the trees in my garden) in T K Maxx – particularly Valentino bags! 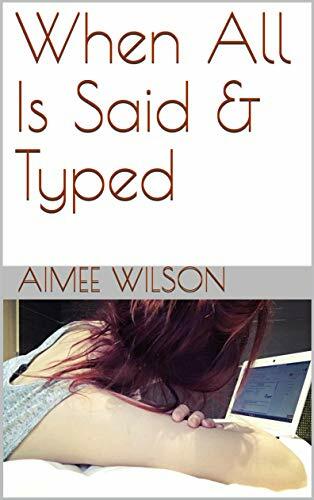 As I moved into blogging and the online mental health world in 2009, it became clear that most blogs were about fashion and beauty. 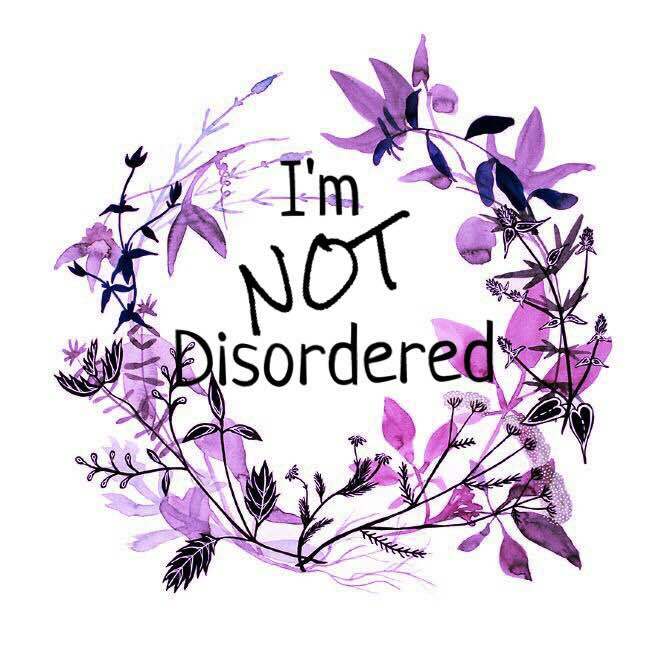 It was a good thing at the time because it provided a gap in the market for I’m NOT Disordered to fill and at the time there were only four popular mental health blogs (and none of them were written by a current inpatient). Like I said, the fashion and beauty bloggers took over the internet and seemed to be the ones who collaborated and were approached by organisations who wanted to use the blog as an advertising opportunity with the belief that when readers saw the blogger wearing a particular shoe, or talking about a new mascara; their followers would want to buy the same thing. At first, I saw ‘gifting’ to be a mark of how successful you your blog was becoming and so, I emailed a lot of companies who were looking for bloggers to promote their products and explained that I do to go to events with very important people there, and people do watch my YouTube channel, and see photos, all over my blog and social media to show that I’m NOT Disordered would still be just as affective at promoting their clothing and products than a fashion blog would. Surprisingly, and kindly; I had quite a few beauty products sent through. Embarrassingly, though, it didn’t take long for me to realised that writing about a beauty product did not fit in with the blog’s usual content and when I did post something, I was so aware of other beauty bloggers who’d sample that same project and write a much better review on their own blog where they’d be providing their audience/followers with the content that was the very reason they were visiting the blog. I did post a series of posts in collaboration with fashion bloggers to show that we’re all the same, we just write about something different. And the girls I worked with also suffered from ill mental health so I wanted to illustrate that they might be a crossover in our personal life but we choose what we blog. Mental health is still a huge taboo in our society and many people are afraid to speak out about their own mental health problems for the fear of being judged. thortful’s “Are you ok?” campaign aims to shine the spotlight on mental health and create a mechanism for people to reach out to someone and offer their support. Card company thortful has collaborated with fashion designer Gary James McQueen, the nephew of the late Alexander, to create a collection of exclusive cards to act as ‘moments of intervention’ to increase communication around mental health. 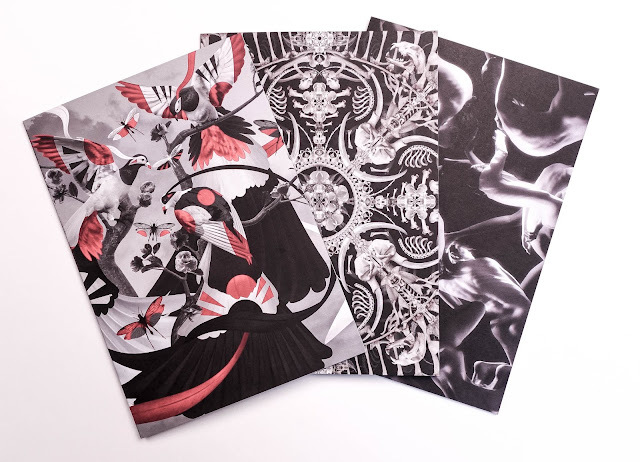 The designs take inspiration from his late uncle as well as the themes of; life, death, and rebirth. Gary himself has suffered from depression and anxiety in the past, which is one of the reasons he approached thortful to create these cards as a way to get people talking to each other – “ I wanted to create cards that said; 'I'm looking out for you,’ cards you might send a friend to demonstrate that you are there for them. A way to reach out with love”. 100% of profits from the limited edition card range will go to mental health charity, Chasing the Stigma. 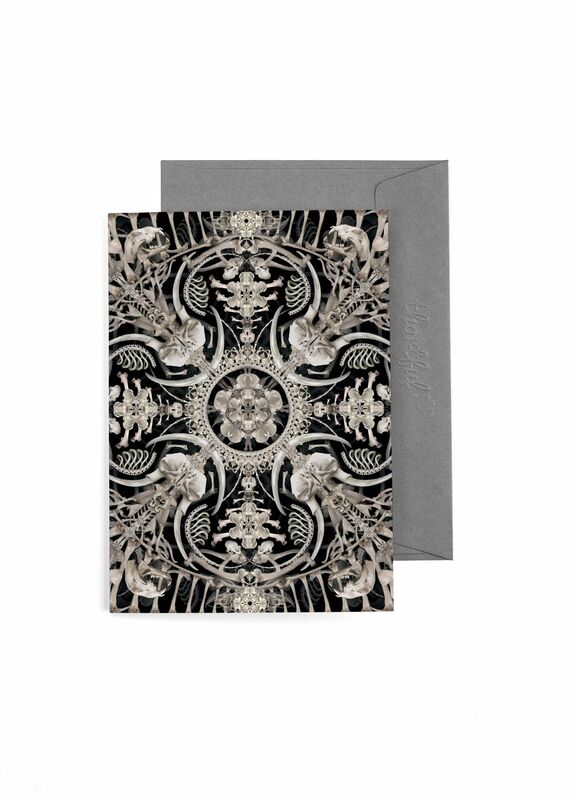 The Card Collection The card collection features three exclusive prints, designed by Gary James McQueen. Each card will come printed on quality A5 card and can be purchased at thortful.com or via the thortful app for £2.99 (+p&p). 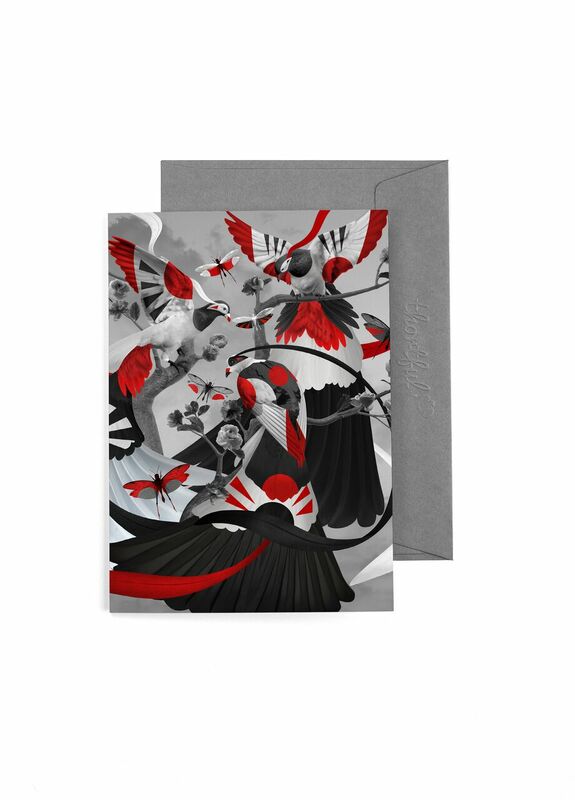 The Card Designs Card 1: Japanese Modernist Birds are all about Life. In this fantasy artwork he adopted Lee's love of birds. The palette is reflective of that from the modernist era, combining this with a Japanese subject of fantasy birds to give it a modern and new feel. Card 2: Carved Ivory represents Death. This story is a nod to the Victorian era, a time of British colonial expedition and fascination for everything Ivory. Although very beautiful to own a piece of ivory, this subject highlights the impact and lasting effect this trend has had on endangered species and the price that has been paid for possessing such beauty. Card 3: Moonlight Serenade encapsulates Rebirth. This artwork is a story of Lee's creative energy, bodies distorted, some in a foetal position appearing to die or maybe they are being born? They represent a re-awakening of energy, very much like the explosive energy of a white dwarf star. As it dies it disperses to form a new established solar system. About thortful: Thortful is a creative platform supporting a community of artists, illustrators and photographers who create & sell unique, beautiful greeting cards most of which you won't find on the high street. We pay our creators a flat fee of 50p per card sold, more than anyone else in this industry. Creators don’t incur any printing or production costs as we do all that for them. This is the first time a greeting card platform has been developed app first, allowing you to have 1000's of cards ready to go in your pocket, the app allows you to store key dates, schedule card deliveries and for the first time you can actually(!) upload your handwriting to the app to print on to your card (no one will ever know you forgot!). 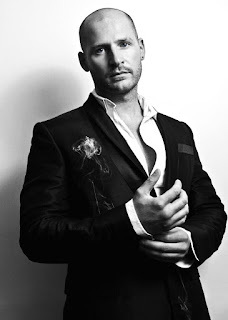 About Gary James McQueen: Gary James McQueen was first introduced to the fashion industry by his late uncle Lee Alexander McQueen, who mentored and inspired him to be the artist he is today. Gary James McQueen worked alongside Lee Alexander McQueen up until his passing in 2010, and was trusted with many personal projects including the Chrome Skull artwork, which has become iconic as the face of the Savage Beauty Exhibition commemorating Lee Alexander McQueen's life work. After the death of Lee Alexander McQueen, Gary James McQueen felt personally compelled to continue his uncle's legacy and family heritage. By both taking what he had learned from his late uncle and using the instinctive qualities that run in his blood, he continues to establish himself and what he believes is the true "McQueen" spirit. In tribute to his late uncle and in recognition of his own mental health issues Gary approached thortful to create a range of limited edition cards using the designs and messaging of his scarves to create a collection that can act as ‘Moments of Intervention’ and can then be sent to friends if they’re feeling low, reaching out with love. About Chasing the Stigma: Chasing The Stigma is a mental health charity which aims to normalise and humanise mental illness. They aim to bring everyone together in a ‘Hub of Hope’; a place to go to find out what support is around you, wherever you are in the country. A place where you can go and know you’re not alone. By creating a community of real people who have faced real problems, they offer genuine hope to those who need it the most. 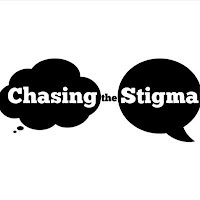 Whether you are a support group, a concerned friend or someone who is dealing with a mental illness, Chasing the Stigma is here for you.